1715, the year in which the “Lipinski” Stradivari violin was built, stands at the apex of the arc of classical string instrument making from the early part of the 16th century until the death of Carlo Bergonzi in 1747. For over three decades leading up to 1700, Antonio Stradivari (1644-1737) applied his inspired instinct, vision and innovation with ferocious attention to detail and rigorous business acumen, to the artistic and commercial challenges of running an international high-art workshop from his base of operations in Cremona, Italy. The challenges of catering to the elite patronage of the late Renaissance in Europe would have been substantial, with all of the attendant problems of transportation, communication, currency exchange in addition to acquiring materials, managing accounting and staffing, and sustaining a productive workshop at a high technical level. Stradivari was clearly up to the tasks and the Stradivari atelier’s success was so overwhelming that it remained the dominant force in bowed string instrument building in Europe from 1700 until Stradivari’s death in 1737. Somewhat lower production levels from the Stradivari workshop after 1727 left a gap in Cremona that was filled in the main by Bartolomeo Giuseppe Guarneri “del Gesu” (1698-1744). Nonetheless, both in terms of quantity and especially in terms of the quality of material and finish the output from the Stradivari workshop from 1700-1737 dwarfed that of all of the makers in Cremona combined. The commercial success of the Stradivari workshop was manifest enough that contemporaries used the analogy, “Rich as Stradivari” to denote wealth. The relative lack of contemporary work emanating from Cremona raises the possibility that Stradivari’s dominance had effectively monopolized Cremona and Italy, all but neutralizing most of the potential competition. 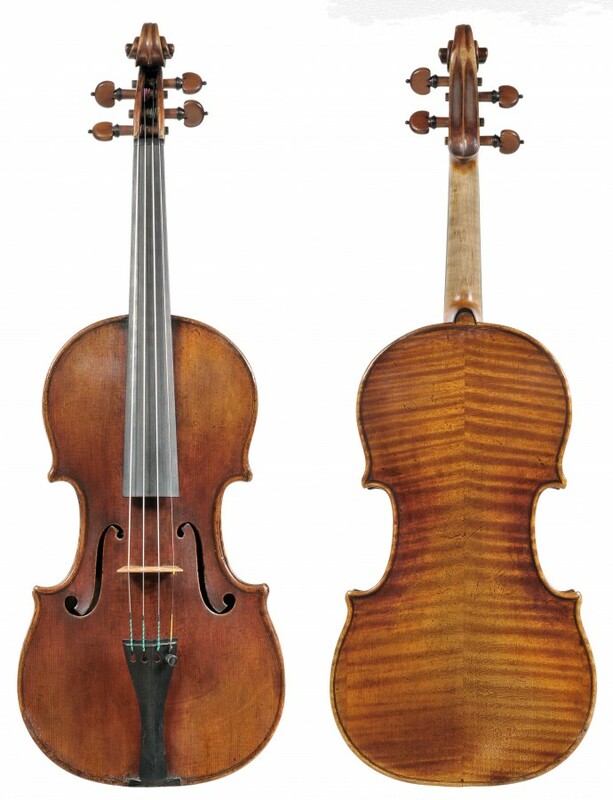 Whatever the commercial realities, the overwhelming artistic success of the Stradivari designs as well as the instruments themselves changed the course of history for instrument makers, composers, and performers. Production from the Stradivari workshop began to accelerate toward a historical high point after 1700. Between 1709 and 1717 or so, the workshop produced instruments based on Stradivari’s most esteemed designs combined with extraordinary levels of execution and finish in the realization of those designs, and an almost incomprehensible quantity and consistency of production. By 1714 through the end of 1716 the workshop was producing as many as 16 instruments or more annually, using the most lavish materials available anywhere and designed along the boldest patterns ever conceived of for bowed string instruments. Stradivari instruments represent a synergistic fusion of a bold and powerful conception with uncompromising attention to materials, and finishes. 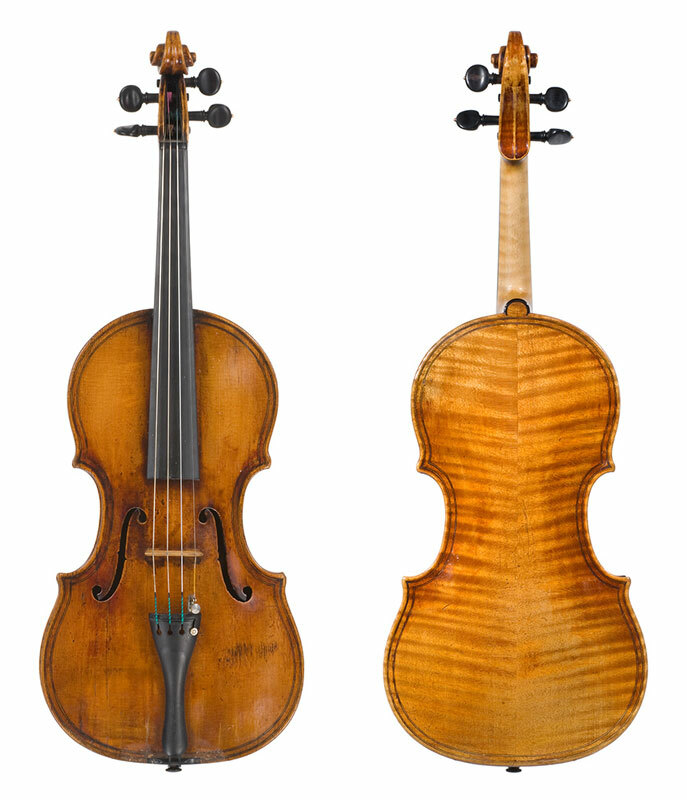 The level of refinement in the execution of such a bold concept is, in itself, remarkable but the Stradivari atelier in 1714-1716 produced these objects en masse with blinding consistency to a degree that is arguably without parallel in the world of hand-crafted art objects. 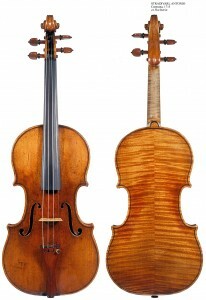 The origins of the Stradivari production are not always readily apparent: That Stradivari would have encountered the earlier violin forms of the Amati and Rugeri families in Cremona, is to be expected and the influence of traditional Cremonese methods is in evidence even in his earliest works. That Stradivari may have encountered other instruments, and how they may have influenced future designs is largely a matter of speculation. Whether by direct influence or inventiveness on his own, Stradivari remained restlessly experimental in pursuit of improvements to the forms with which he began his career. 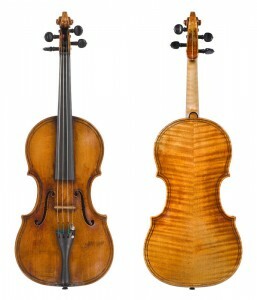 In the last decade of the 17th century Stradivari began experimenting with a longer form than that of contemporary makers in Cremona that may have been informed by larger modeled instruments from the Brescian makers such as Giovanni Paolo Maggini c.1580-c.1630, that would have already been coveted antiques in Stradivari’s day. Functionally, the so-called “Long Pattern” instruments from this period recall some of the deeper sonority produced by the Brescian patterns and the increased body length bears out the comparison. No historical record indicating reception of older forms by Stradivari one way or the other has come to light so for the time being we can only guess at what may have influenced Stradivari directly with the development of his designs. Stradivari discarded the long pattern sometime around 1699 but the “Long Pattern” experiments were to serve him well a decade later when he returned once again to forms of larger dimensions. 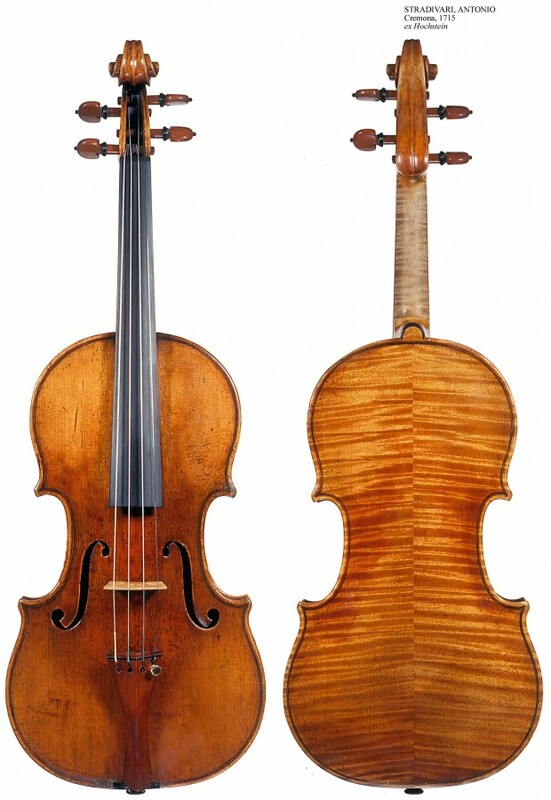 The larger violins that begin to appear around 1709 are of similar length to the “Long Pattern” instruments but these are generally broader throughout creating an unprecedented volume of airspace within the violin. The arching on the fronts and backs of the large form violins from the period 1709-1718 are optimal for power and color and these remain some of the most powerful, sonorous, and brilliant violins ever created. The power and brilliance of the mature works of Stradivari make the presence of solo violin in a modern, 3000 seat concert hall practical in a way it wouldn’t have been with earlier forms. Stradivari was substantially ahead of his time with his creations: the large performance venues that are the norm today were unheard of in the 18thcentury, but one can wonder what course music performance might have taken had these forms never been invented. In the decades and centuries after they were built, violins like the Lipiński and its close cousins, the Hochstein and “Il Cremonese”, also large model violins built in the year 1715, must have helped blaze the trail for music to be available to a broader class of citizens beyond just the aristocracy, at concerts in increasingly large public venues. In terms of utility, Stradivari instruments have proven demonstrably superior to all attempts at replication: although it has been some 300 years since their creation, Stradivari instruments remain in use in modern concert halls as the choice of contemporary artists and to the benefit of audiences, as a living testament to their enduring qualities. For this confluence of factors Stradivari instruments are unique among art objects and there is no artisan more worthy of the unchallenged reputation and mystique that Antonio Stradivari enjoys.